American golf has been blessed by several extraordinary amateur champions who have played the game at the very highest level – Bob Jones (the winner of nine USGA national championships), Glenna Collett Vare (six), Francis Ouimet (three, plus a member of 12 Walker Cup teams), and, while still amateurs, both JoAnne Gunderson Carner (six) and Tiger Woods (six). Quite a coterie of excellence. But there is one somewhat unheralded woman amateur who richly deserves to be included in this exalted company – Carol Semple Thompson. 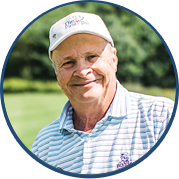 The record speaks for itself: seven USGA championships, a record 12 Curtis Cup selections (plus two more as non-playing captain) and a record number of appearances in USGA individual competitions. As an individual Thompson’s benevolence extends beyond the confines of the golf course. 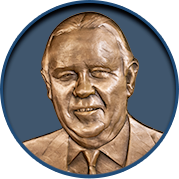 Her dignity, integrity and graciousness have made Thompson one of the game’s great ambassadors, and in 2003 the USGA bestowed its highest honor on Thompson by naming her the recipient of the Bob Jones Award. 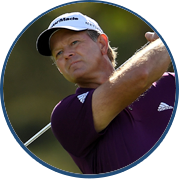 The award is annually given to an individual in recognition of distinguished sportsmanship in golf and seeks to recognize a person who emulates Jones’ spirit, his personal qualities and attitude toward the game and its players. Golf was engrained into Thompson at an early age. Both her parents played and gave back to the game. 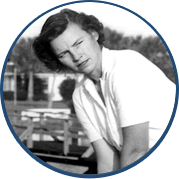 Her father, Harton, served on the USGA Executive Committee and was president from 1974-75, and her mother, Phyllis, was on several committees. Two decades later, Carol would follow her father to the Executive Committee, serving from 1994-2000. 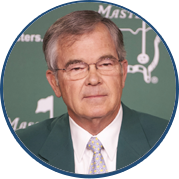 Even after retiring from the Executive Committee, Thompson has remained heavily involved with the USGA’s Museum Committee, playing an active role in the renovations, along with the creation of the Arnold Palmer Center for Golf History. On the golf course, Thompson has twice captained victorious USA Curtis Cup teams, in 2006 and 2008, the latter coming in June of 2008 at the Old Course in St. Andrews, Scotland. 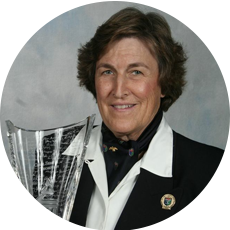 At age fifty-three, Carol Semple Thompson clinched the U.S. team’s 2002 Curtis Cup victory with a dramatic 27-foot birdie putt on the final hole. While Thompson never won a U.S. Women’s Open – she played in 32 – her accomplishments would be the envy of anyone who has played the game at its highest level. 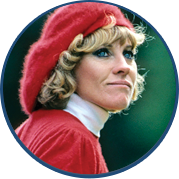 She won the 1973 U.S. Women’s Amateur and the following year claimed the Ladies British Open Amateur title. 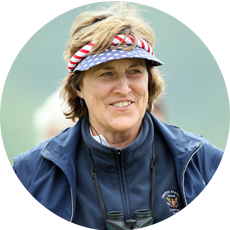 When the USGA created a U.S. Women’s Mid-Amateur Championship for players 25 and older in 1987, Thompson managed to win that event twice: in 1990 on her home course, Allegheny Country Club, and again in 1997. 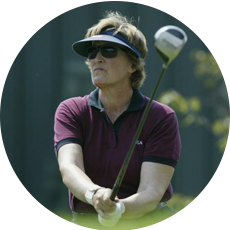 Upon turning 50, Thompson turned the USGA Senior Women’s Amateur into her own personal invitational, winning four consecutive championships from 1999-2002, with the third in 2001 coming at Allegheny C.C. The 1973 Women’s Amateur title at Montclair (N.J.) Country Club remains a seminal moment. It was Thompson’s first national championship and brought her to the forefront of women’s golf. More importantly, it was the only USGA title her father, then a vice president of the USGA, saw her win. The other major Thompson highlight occurred at the 2002 Curtis Cup at Fox Chapel just outside of Pittsburgh. Playing in her 12th and final Match and near her hometown of Sewickley, Thompson came to the 18th hole of her Sunday singles match against Vikki Laing all square. Faced with a 27-foot birdie putt from the fringe, Thompson provided the Match’s poignant moment, holing the putt that sent an electrifying roar throughout the grounds and retained the Cup for the Americans. It was certainly an appropriate exclamation mark on a career that now includes her in the World Golf Hall of Fame.